The Storm All-Star point guard will wear a facemask to protect her broken nose in Tuesday's Game 5 of the WNBA semifinals against Phoenix. It's the fifth time she's broken her nose. 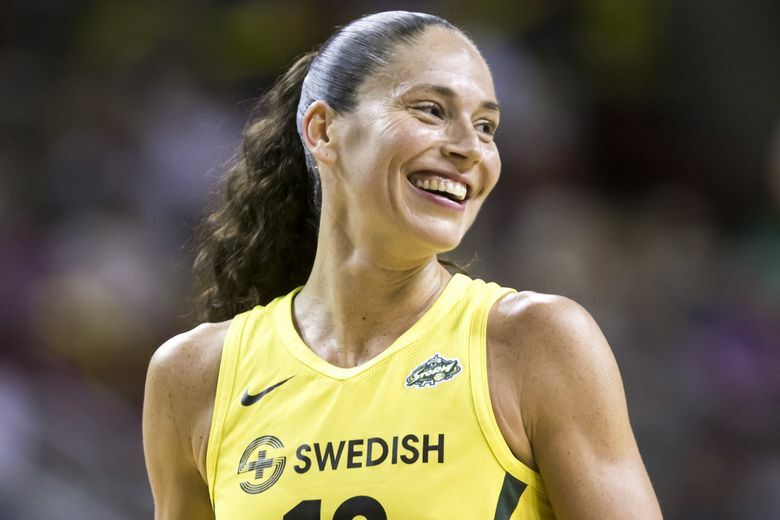 Sue Bird joked an occupational hazard of being a 5-foot-10 point guard on a basketball court full of giants is the occasional collision that results in a broken nose. Medical examinations Monday, including a CT scan, didn’t show any other damage other than the broken nose, which was good news for the top-seeded Storm, which is reeling after dropping two consecutive games in the WNBA semifinals to No. 5 Phoenix. Bird was medically cleared to play in the Game 5 winner-take-all showdown 7 p.m. Tuesday in KeyArena. Bird will wear a clear plastic facemask. She spent time Monday at practice getting adjusted to the protective device. Bird, who is averaging 9.0 points and 7.3 assists during the WNBA semifinals, suffered the injury in the 86-84 defeat at Phoenix when she ran into teammate Breanna Stewart’s elbow and crashed to the floor. “I knew it was broken as soon as it happened,” said Bird, who left the game with 4 minutes, 23 seconds left in the second quarter. Bird tried to return, but trainers were unable to stop her nose from bleeding. She returned to the bench in fourth quarter and coached at times during timeouts. Ultimately, the Storm blew a 17-point lead and succumbed to a Phoenix comeback led by Brittney Griner (29 points and 10 rebounds) and DeWanna Bonner (27 points). “I don’t think if I played it guarantees a win,” Bird said. “Phoenix is a team that’s never going to go away so they probably would have made a run, but I think as a competitor and somebody who has been in those situations I would have loved to have been out there for myself and my team. Bird said she might need surgery to repair her nose after the season.